Hi again Sliders! Andrew Armstrong here from Fermenter Games. I hope all is going well with you all. 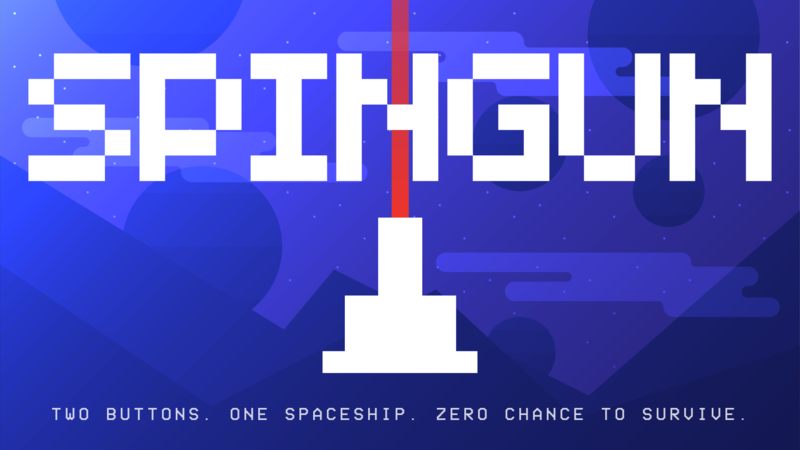 I’m happy to announce my second game, SPINGUN. After the successful release of my first game, ‘David.’, I’ve been hard at work honing my craft to create the best games I possibly can. SPINGUN is my latest work, and I sincerely hope you enjoy it. SPINGUN is a game simply about spinning and gunning. Use the elegant two-button control scheme to battle against an onslaught of baddies in your ship. Fly and steer with either single button, or press both buttons at once to fire your ship’s powerful blaster gun. Grab powerups to launch missiles, plasma balls, and flames at your foes. Blast em to bits quick to repair your ship. How long can you fight them off? - Ballpit, a pointless goofy arena filled with balls, have fun with physics! SPINGUN is free, but players can purchase the “Full Game” as an In-App Purchase to remove ads, unlock the Boss Fights mode, the Ballpit, and unlock a ship customization feature. No pay-to-win ship upgrades, just MORE GAME! Also, after release I plan on listening to suggestions from players and adding more features and content every few weeks. A quick history: SPINGUN started as a 48-hour game-jam project as part of Ludum Dare 34. Since then, I couldn’t stop thinking about the theme of “Two-Buttons”, and how I could get the most depth from a super simple control scheme. I continued development and opened up a public beta through TouchArcade, something I’ve never done before. Thankfully, the testers were really loving it, and gave me quite a few ideas to finish up the game. Even though I developed the game completely myself, I couldn’t have done it without the support and ideas from my friends and testers. “This is like Asteroids on steroids!” - a quote that stuck out to me from one of my beta testers. Let me know if you have any questions or comments. I'd be happy to chat!